Cover Thoughts: The book is so much better then the cover!! Waking up in Vegas was never meant to be like this. Evelyn Thomas’s plans for celebrating her twenty-first birthday in Las Vegas were big. Huge. But she sure as hell never meant to wake up on the bathroom floor with a hangover to rival the black plague, a very attractive half-naked tattooed man, and a diamond on her finger large enough to scare King Kong. Now if she could just remember how it all happened. One thing is for certain, being married to rock and roll’s favourite son is sure to be a wild ride. 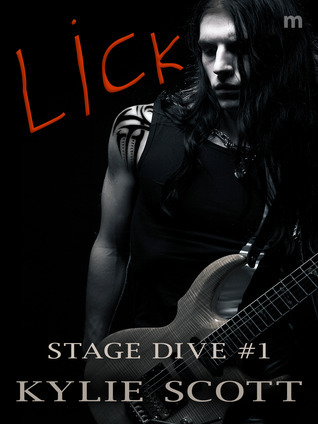 Lick was just well, lickable! Simply put, I adored it. This is one of those rare times where I just want to tell everyone to buy it, because it's just that good! I was going through a reading spell last week where nothing stuck. I'd get to the 70% point of whatever book I was reading and would be bored silly. It became a struggle to finish anything I touched. I was talking about this on twitter, and one of my friends on there, KatiD said what got her out of her slump awhile back was Lick by Kylie Scott. I decided I didn't have anything to lose, and since the blurb looked great I took the plunge and bought the book. I was not disappointed. I finally had a novella that I read in almost one sitting. Lick has everything a novella should be: a spunky, independent heroine, sigh-worthy hero, and adorable and lovable secondary characters that you just want to hug and tell them everything will be ok. I don't know who I loved more in this book Ev, or David...both were fantastic main characters, and I alternated from loving them both to wanting to shake some sense into them. I think what I loved both about them was the attraction they had for each other, and the fact that they didn't compromise what they believed in to be with each other. I loved that Ev gave David crap when he deserved and vice versa. I also loved that they were together most of the book, and even though they had to work to be together, it just worked and didn't feel forced just to move the plot line along.